Are you someone who has been researching the web to educate yourself on the ways in which you can secure a high rank for your business website in the search engine results? If answered yes, you should be aware of the 3 components of SEO, content, back links and keywords, which play a huge role in determining the search engine rank of a website. The concerns of this article will deal with the different steps that you need to take to research the right keywords for your website, imbibing which, you can easily target a higher rank in the search engine results, leaving behind your competitors. Here are some steps that you may take into account. 1. Choose a list of suitable keywords: The foremost step that you need to take is to identify a comprehensive list of keywords that are relevant to the theme of your business website and that might indicate the theme of your business to the visitors. You may either use your intuition, PPC data, analytics data, and internal search data or even analyze competitor insight. Without taking this step, it is almost impossible to move on with the next few steps. 2. Stretch that list of keywords: As your company constructs the “seed word” list, you can then use the Google Keyword Tool to expand or stretch this seed word list and understand the relative search volumes for all your keywords. While doing this, you should keep in mind that the projected search volumes of Google are mostly not accurate and are usually only helpful in comparing the relative popularity of a particular keyword to another. 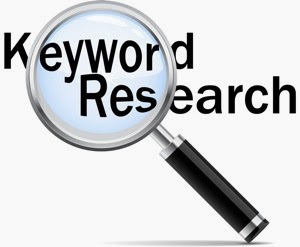 You can also use paid search to test the popularity of the keywords and their conversion rates. 3. Prioritize your list of keywords: After you expand your list, your seed word list becomes your keyword universe. Then, the immediate step that you need to take is to prioritize them and choose the most important keywords that you’re going to target for the search engine optimization campaign. These will be the keywords that you’ll want to track rankings for in order to know the health of those keywords. There are some people who come up with 25 priority keywords, while some others end up with hundreds. Remember that you choose your keywords on their competitiveness in the industry. 4. Identify preferred landing pages: Once you have your keywords defined in a manner, you should begin mapping the priority keywords to the specific landing pages that will be the most relevant for them. You ma start finding the preferred landing pages once you start off with on-page optimization and you will also come to know whether a single landing page can be suitable for a single keyword or a list of keywords. You can use the additional keywords from the keyword universe to the list of priority keywords. Hence, when you’re looking for SEO solutions, you should always keep in mind the importance of keywords. Take into account the above mentioned steps to research the right keywords and use them in your website in order to increase your search engine ranking.